Affinity Creative Group is a collective of strategic and creative experts in branding, packaging design, digital media and retail activation. We deliver the complete brand experience through marketing services custom tailored for today’s brand champions in the wine, spirits, beer and luxury categories. Affinity helps clients of all sizes connect with consumers at the early, essential moments of contact, or the points of ‘brand touch’, through the strategic use of creativity, captivating storytelling and flawless implementation. Our parent company, PackagingARTS was founded in 1995 to produce retail and trade marketing materials for the wine and spirits communities. Since then, the agency has grown to provide marketing services across an array of disciplines including, brand and packaging design; websites, videos and other digital media; and branded environments and retail displays. PackagingARTS / Affinity Creative Group provides marketing services across an array of disciplines including, brand and packaging design; websites, videos and other digital media; and branded environments and retail displays. Affinity Creative Group joins the North Bay Business Journal at their 19th annual Wine Industry Conference, this Thursday, April 18th. In support of the highly anticipated event, the agency is hosting a table, accompanied by friends and clients of Affinity. This annual gathering serves as one of the most in-depth conferences in the wine industry, providing strategic direction for the premium wine business. With a panel of highly regarded individuals in the industry, we look forward to hearing their opinions on up and coming trends. If you’re attending, please be sure to stop by Affinity Creative Group’s table, bright and early on Thursday, April 18th at the Sonoma State University's Student Center. Feel free to pull up a chair and join us. We look forward to seeing you there! In honor of Women's History Month this March, Affinity Creative Group recognized our phenomenal female employees on social media throughout the month. The women of Affinity Creative make up half of the company, which means that without these 15 amazing women, the company’s success would not be possible. Founders and principals, John Swain and Dave Miller, believe in having an equal opportunity workspace that not only supports but empowers all female employees. We started this celebration by recognizing Affinity Creative Group’s first employee, Jeri Fregoso. 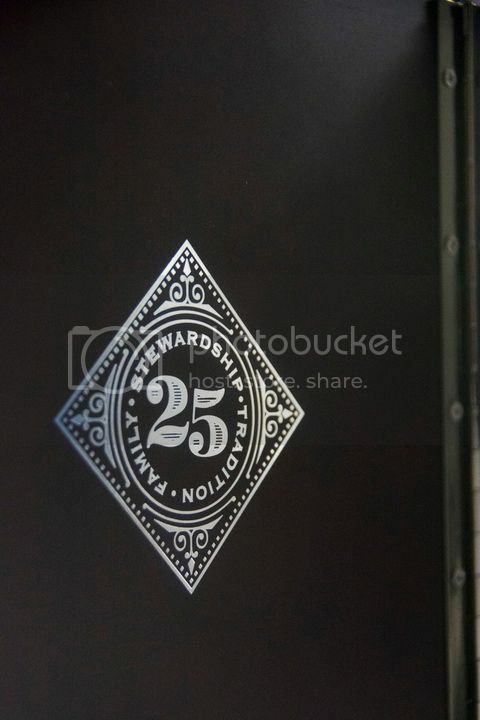 Hired 24 years ago under our parent company, PackagingARTs, Inc. Her hard work and remarkable dedication have played a significant role in our company's continued success. Jeri serves as a Project Manager in our Retail Department, where she works closely with manufacturing partners to ensure that the scope and direction of each project are executed to our client's expectations. Our Retail Department is the first discipline created through PackagingARTS, Inc. / Affinity Creative Group. The department designs and creates retail displays and packaging to engage consumers and assist with successfully moving a product through retail. This department specializes in displays, manufacturing, strategy and design, brand promotion, and in-store customer experience. Becky Lindstrom, our Production Manager and Terilyn Grondona, Project Manager both work in the Retail Department as well. Becky is responsible for working with the Sales Department, designers and customers, to help bring our client’s ideas to life. Terilyn focuses on production management, quoting, and sourcing materials for displays and packaging. As a team, Becky, Jeri and Terilyn ensure all projects are successfully fulfilled and have met our client’s needs. Down the hall in our Retail Department, we have our fabulous design team! Crystal James serves as both Project Manager and Graphic Designer, while Julie Robertson works primarily in design. They both enjoy the exciting array of projects and being a part of such a dedicated and caring team. Two of the most crucial positions within the company belong to Johanna Derkacz and Courtney Butler. Johanna is responsible for managing the company’s accounting system, financial statements, and human resource functions. Courtney serves as Affinity’s “unsung hero!” Not only does she assist with all accounting and office duties, but ensures that all employees are happy and healthy throughout the day. Over in our Digital Bungalow, we have our company’s newest discipline, the Digital Team! The Digital Media and Video Department was created three years ago and has been a huge success since. The team shapes brands online through stunning web experiences, strategic digital marketing, and custom content creation. They specialize in digital strategy, user experience, video and photography, aerial drone cinematography, web development and content marketing. Jordan Joseph is the Lead Digital designer, responsible for leading the team’s digital and brand strategy, UI/UX design, and overseeing all projects from initial ideation to final design. Jessica Lin works alongside Jordan as a Web Developer. She is responsible for creating digital and functional website experiences that not only wows the user but looks great on all screens, both large and small. Valerie Romero is also a part of our Digital Team, serving as Project Manager. She facilitates all communication between clients and her team, coordinates project development, and is responsible for ensuring that timelines and client expectations are met. Down the street from the Bungalow, we have our fabulous Brand Department. The Brand Team joined PackagingARTS, Inc. 5 ½ years ago, officially starting what is now known as Affinity Creative Group! The team strategically crafts brand identity, designs architecture and customizes packaging systems. The Brand Team’s specialties include new product development, packaging design, brand tiering, production expertise, and naming and copywriting. The founding women here include Heather Cappola, Christine Lynch, and Edith Lee. Heather Cappola is the Director of Client Services for our Brand Department. She is responsible for creating and maintaining client relationships while ensuring that we meet our client’s expectations, time and budget. Although Christine Lynch's official title is Office Manager of the Brand Department, she is often referred to as the "glue." Christine is responsible for developing proposals, managing project budgets, purchasing, scheduling and much, much more! Edith Lee has worked alongside Heather and Christine since the beginning but has over 30-years of experience in the branding and design industry. As a Design Director in our Brand Department, she is responsible for conceptualizing and strategizing creative solutions, as well as executing designs based on clients' specific needs. Two newer additions to the team include Carolyn Schwartz and Kimberlee King. Carolyn started with Affinity Creative Group just five months ago, as Marketing Communications Manager. She is responsible for all internal marketing, including social media, tradeshow logistics, digital and print advertisements – and of course finding new and creative ways to promote Affinity Creative. Kimberlee King started with the company three months ago but has over 20 years of expertise and a passion for solving problems in the design industry. As Project and Marketing Manager for the Brand Department, Kim wears many hats. Whether it is forming and sustaining the connection with our clients, or looking for creative ways to advertise and market Affinity Creative Group, Kim is always going above and beyond to complete the task at hand. Last, but certainly not least, we celebrate our newest addition to Affinity, Cynthia Sterling! Cynthia is our newly appointed Creative Director of the Brand Department. Although she has only been with Affinity Creative Group for the past six weeks, she is an award-winning designer and author, with over 25 years of experience as a design entrepreneur and firm owner. Cynthia works closely with clients to refine their brand vision. She then guides our talented team in the creative development of names, brand stories, strategy and packaging design. Although Women’s History Month has come to an end, we never stop appreciating and recognizing our incredible female employees. Thank you for following along and getting to know the women of Affinity Creative Group. None of our success would be possible without them! Principals, John Swain and Dave Miller founded PackagingARTS, the forerunner of Affinity Creative Group, in 1995 to produce retail and trade marketing materials for the wine and spirits communities. Since then, the agency has grown to provide marketing services across an array of disciplines including, brand and packaging design; websites, videos and other digital media; and branded environments and retail displays. Affinity’s and Sterling’s client rosters range from large producers like Constellation Brands and Trinchero Family Estates to boutique luxury purveyors that include Flora Springs and ZD Wines. The combination of years of agency experience, special talent and category understanding from both parties inspired and motivated this logical and compelling uniting of creative forces. Production and Technical Services, at Affinity’s Creative Campus on Mare Island. The agency occupies two turn-of-the-century mansions and a bungalow along historic Officer’s Row, on the storied former Naval Base and Shipyard adjacent to the City of Vallejo. About Affinity Creative Group: Affinity Creative Group is a collective of strategic and creative experts in branding, packaging design, digital media and retail activation. We deliver the complete brand experience through marketing services custom tailored for today’s brand champions in the wine, spirits, beer and luxury categories. Affinity helps clients of all sizes connect with consumers at the early, essential moments of contact, or the points of ‘brand touch’ through the strategic use of creativity, captivating storytelling and flawless implementation. For more information about Affinity Creative Group, please visit: www.AffinityCreative.com or call Ed Rice, Managing Director, at 707.562.2787. AFFINITY CREATIVE WINS TWO MORE DESIGN AWARDS TO PLACE ON THE MANTEL. Affinity Creative Group is honored to announce we have been selected as the winner of two 2019 American Graphic Design Awards, presented by Graphic Design USA. For more than 55 years, Graphic Design USA has been a dedicated sponsor of competitions to recognize design excellence. Their annual package design awards celebrate well-designed graphics, recognizing the undeniable power of design. A great packaging design can tell a story, advance a brand, and persuade consumers to buy. We received these awards for our TEXTBOOK Wines package design developed for Scenic Root Winegrowers and also our Corto Olive Oil Limited Reserve luxury packaging work completed for Corto Olive Company. Although the two projects were vastly different in category, scope and objectives, the Affinity Creative Group team applied time-tested principles of brand typography, iconography and design treatment, to successfully accomplish each client’s specific goals. The result is not only award-winning packaging, but also very pleased clients that now possess even more effective brand power in the marketplace. To learn more about our clients and these award-winning projects, check out The Dieline to view our work for both TEXTBOOK Wines and Corto Olive Company. The Results are in, North America’s Largest Wine Competition was a Success! On an early Wednesday morning Affinity Principal, Dave Miller, and I pulled up to the Citrus Fairgrounds in Cloverdale, CA. Today was the day we had the honor of participating in the San Francisco Chronicle's label design competition. Dave Miller has been involved with this competition for the past eight years, participating as a Label Judge. As Principal of Affinity Creative and PackagingARTS, Dave has accumulated 36 years of experience in printing, packaging, retail, and design. These skills have given Dave the knowledge and ability to know what it takes to create an award-winning label design. Other contributors include (From Right to Left) Paul Tincknell, serving as Label Contest Coordinator. 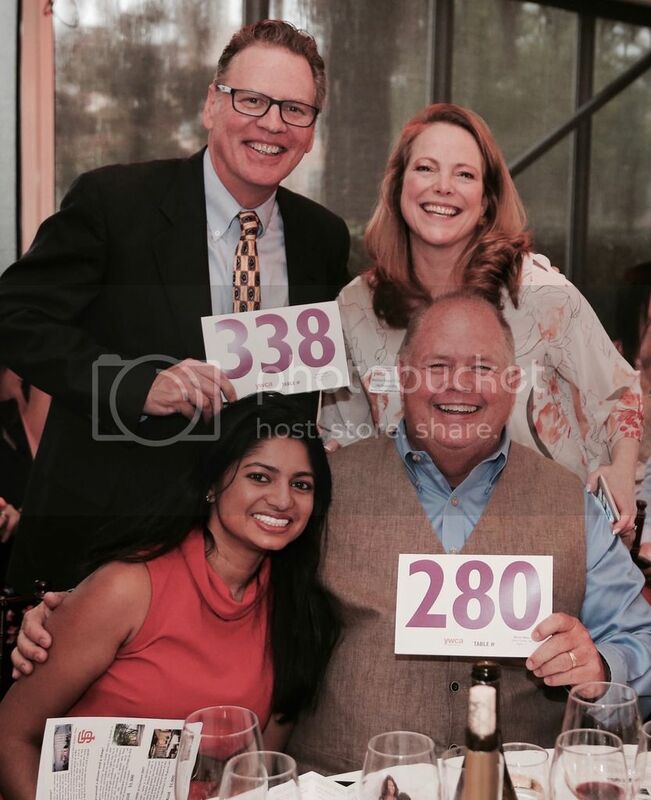 Brian Lobsinger, Jennifer Tincknell, Elizabeth Slater and Mike Haran who accompanied Dave as contest judges. These individuals are experienced, dedicated and very knowledgeable — providing their unique perspective on every competing label. The categories for the competition included Classic, Artistic, Series, Etched-paint and Block. Each represents the different aspects of creativity that goes into a label design. Felicita Wine Company, Artiste Winery, Hazard, and StoneRiver Winery were awarded Best of Class. They each were able to present a captivating design, making it truly difficult for the judges to decide on a winner. The Bonterra Equinox Red label had a particularly good showing, winning both the Artistic Label Sweepstake and the overall Label Contest Sweepstake. Click here to learn more about these categories and this year’s winners. Although the San Francisco Chronicle Wine Competition is the largest competition of North American Wines, many may not be aware that there is a label competition as well. The label portion of this competition is expected to see some significant change within the next five years. With talk of opening up the competition to designers, packaging companies, photographers and more; there is an excellent potential to make this remarkable event even better. After being involved with the wine competition for five years, Paul Tincknell, expresses his vision for change with the label portion, as second-year Label Contest Coordinator. “I love the goal of promoting good designs. It’s so gratifying to see the quality of improvement in these designs over the years. I am looking forward to being able to promote adventurous, exciting design work and to further draw people in and see the creative aspect of this competition.” Paul explained. What’s so incredible to see firsthand is the passion that Paul and his wife, Jennifer Tincknell, have invested in this event. Almost twenty-two years ago the couple started their marketing firm, Tincknell & Tincknell, Wine Sales and Marketing Consultants. Since the birth of their business, they have completely fallen in love with the industry. Their mission is to not only make the label portion of the competition more well known but to encourage improvement for all future wine label submissions. The 2019 Public Tasting will take place on February 16th in Fort Mason, San Francisco. This incredible event is a chance for wine lovers to taste the 2019 San Francisco Chronicle Wine Competition award-winning wines. With more than 800 U.S. wineries in attendance, this is the perfect chance to taste fantastic wines, meet winemakers, and discover the current trends in the American wine industry. This event tends to produce quite the buzz, so click here to purchase tickets before they’re sold out! Affinity Creative Group will proudly be in attendance, so be sure to say hello. We’re all familiar with the classic phrase, "New Year, new me." However, how accustomed are we to sticking with such a difficult resolution? As we begin to embark on our journey into the new year, we decide that we must shed our winter weight, live a healthier lifestyle, and of course commit to that dreaded, "Sober January" promise we made to ourselves in December. In the spirit of a new, healthier year, this article will help detox my newsfeed. After all, “Mostly Sober January” is more my style. Will this year be any different from the last? With society's annual renewal to health and fitness, many non-alcoholic alternative beverages have gained immense popularity. Primarily amongst the Millennial Generation. By now, you’ve probably noticed the flavored sparkling water movement, specifically with La Croix, a national market leader. Although I’ve been drinking La Croix for years, I have seen more popularity with the brand now more than ever. Crystal Geyser Water Company has been another leading beverage option since 1977. Locally founded in Napa Valley, California this industry favorite was the first to introduce flavored sparkling water to the U.S. Personally, I try to only purchase local products. As a California resident Crystal Geyser has always been my go-to when selecting a bottle of sparkling water. Although it may seem that flavored sparkling water is a newer trend, Crystal Geyser proudly paved the way. Offering both Sparkling Mineral water and Sparkling Springwater, they are one of the few remaining water companies to source its water directly from the United States. As society continues to help mold ourselves with healthier lifestyle choices, it’s very likely that we’ll start to see even more competition in the flavored, sparkling water field. Lagunitas Brewing Company, for example, has released their very own, Lagunitas Hop Water. “An IPA-inspired refreshment that’s zero-alcohol, zero-carbohydrate, and zero-calorie, made using everything we know about hops.” Brew Master, Jeremy Marshall, describes. Lagunitas Hop Water definitely won’t be the last packaged water breakthrough we see from a brewing company. With the water industry experiencing many global changes, brewing competitors are not too far behind. This nonalcoholic trend not only acts as an alternative beverage but provides consumers with significant health benefits as well. Ingredients such as Turmeric, Activated Charcoal, Matcha, Melatonin, Aloe Vera and Vinegar are frequently used. Of course, these are ingredients that have been around for hundreds to thousands of years, yet the demand has risen over the past decade or so. One of the most well-known functional beverages in the industry is Kombucha. Although it is relatively new to the United States, it has been consumed in Eastern cultures for centuries. With a plethora of health benefits to name, the fermented drink is mainly known for its rich source of probiotics, using Vinegar, SCOBY, Tea, and many other natural ingredients. Another tremendous competitor in this beverage category is Guayakí Yerba Mate. Brewed right here in Northern California, Guayakí created a natural energy drink that has become one of the most popular beverages on the West Coast. Made from naturally caffeinated and nourishing leaves found in the South American Atlantic rainforest, the unique drink contains 24 vitamins and minerals, 15 amino acids, and abundant polyphenols. With 17 revitalizing flavors, including both sparkling and non-sparkling options, Guayakí Yerba Mate serves as one of the most common non-alcoholic beverages in California. However, their mission doesn't end with the Golden State. Guayakí is continuing to spread their yerba mate culture by connecting with communities worldwide. Guayakí Yerba Mate isn’t the only tea that deserves praise as a functional beverage, as Tejava serves as the United State’s original unsweetened black tea. Studies have shown that the antioxidant properties in black tea are credited with decreasing the risks of chronic disease and improving overall heart health. Tejava black tea not only has nutritional benefits but can help increase focus, productivity and alertness. This beverage category has taken the term "Mocktails" to a whole new level. As someone who is heavily involved in the wine and spirits industry, I’ve been closely following this current trend over the past few months. I’ve noticed that both wineries and breweries have begun carrying a wider variety of beverage options. The same can also be applied to distilleries. According to an article posted by, Tales of the Cocktail Foundation, serving more than just alcoholic drinks can provide a greater customer experience. Seedlip has been a significant competitor in this category, using the clever slogan, "What To Drink When You're Not Drinking." The distilled spirit alternative has seen most of its success in the UK but has slowly started to grow in the United States as well. So cheers, to the new year and all new endeavors! If you are one of those brave souls who decided to participate in a healthier 2019, be sure to enjoy these non-alcoholic beverage alternatives to start your year off right. “So, what exactly is a Brand Refresh?” asked Moderator, Dave Trebilcock, as he looked over to the panel of featured speakers. Ed Rice, Affinity Creative Group’s Director of Strategy replied, “It’s a makeover, and when done well, it strengthens your connection to current customers and attracts new consumers to your brand.” Christine Lilienthal, Director of Marketing for Cline Family Cellars and past Affinity client, smiled and nodded in agreement. This past Thursday I had the pleasure of attending the WIN Expo, Trade Show & Conference, hosted by the Wine Industry Network, at the chilly but spacious Sonoma County Fairgrounds in Santa Rosa, California. As a new addition to the Affinity Creative team, this event gave me the opportunity to see the industry from a totally new perspective. It also gave me the chance to observe audience reaction to one of Affinity’s most dramatic brand transformations. Colleague Ed and client Christine were selected to participate in the Sales and Marketing Seminar: Keys to Successfully Refreshing Your Brand, highlighting our agency’s efforts in the refurbishment of Cline Family Cellars, Old Vine Zinfandel. Affinity Creative Group was awarded this assignment in late 2016. With creative mojo provided by the Affinity Brand Design team, Christine’s marketing turnaround plan came to fruition with dramatic results. When we started the project, the product had experienced over a -14% decline. After working with Affinity and producing a fresh new label look and feel, the brand has seen a +21% increase. Lilienthal indicated that Cline sales and marketing teams are now using this success story to open new points of distribution and get buyers who had lost faith in their Old Vine Lodi Zinfandel to give it another try. And they are. Additionally, from a wine quality perspective, Cline also received a Best Buy from Wine Enthusiast and 88 Points from Wine Spectator. As Christine provided words of encouragement to other producers who might consider a brand refresh, it was a pretty amazing feel to watch a past client give such praise to Affinity’s creative prowess. This seminar also offered guidance and inspiration to attendees pondering the pathway to a brand design update for their labeling and packaging systems. Undertaking that daunting brand ‘facelift’. In today’s competitive sales environment, projecting an image from your package that clearly reflects the quality of the product and supports the brand’s positioning is essential. However, executing the necessary steps to get there is not always as easy as it may initially seem. Lilienthal and Rice spoke in detail about the re-branding experience, revealing pitfalls to avoid and providing guidance to achieve a highly satisfactory outcome. As a new member of Affinity Creative Group, it was rewarding to witness first hand the audience reaction to a standout example of one of our strategic/creative client programs. I’m excited to see how my ‘client-side’ wine industry knowledge will be leveraged to help Affinity’s clients, both existing and new, refresh and rebuild their brands as successfully as the agency did for Cline Family Cellars. Grabbing someone’s attention gets harder every time a new wine comes out or another brand is launched. Reaching your consumer with plain text emails or mailers doesn’t drive the type of traffic that it used to. We understand this pain point that so many wineries face, and that’s one of the main reasons why our Video Marketing efforts have increased significantly over the past few years. Take Black Stallion Estate, for example. We captured the experience of visiting their winery in a promotional video that engages both consumers and trade. This type of experience would not be possible through a traditional medium, especially for those who are not familiar with Black Stallion. See how we can help you drive traffic to your tasting room (and website) with video marketing. To say Cline Cellars Marketing Director Christine Lilienthal is thrilled about the new label design and packaging for the winery’s core Lodi Zinfandel would be an understatement. Her collaboration with Affinity Creative Group in repackaging this nationally distributed wine has meant a complete overhaul of the perception of this wine in the marketplace – and the sales numbers show it. Having worked with Ed Rice and other creatives at Affinity Creative Group when she headed marketing at other wineries, it was a natural for Lilienthal to include the group in the bid process for the Lodi Zin redesign. The “Old Vines” Lodi Zin has an average 65-70,000 case production and falls in the $10.99 price category. Cline’s Ancient Vines Zinfandel, at about 80,000 cases, was also being challenged in the marketplace, but the immediate need was the starter Zinfandel category. As Rice says, “Zinfandel is not a large category, but Cline Zin has a passionate customer. The current label was a bit dusty and looking long in the tooth, and the wine was being eclipsed by newer, hotter brands.” The need was urgent, and Rice worked closely with the Cline team in narrowing down the labeling options as well as addressing a new closure look and carton design. The loyal Cline wine club as well as employees became the marketing focus groups because, frankly, the winery didn’t have a focus group in the budget. The Affinity team closed in on a two-piece, die cut black label with an emphasis on the gnarly, head-pruned old vines that characterize the Zinfandel mystique as well as the family-owned and operated Cline operation. For Lilienthal and her team at Cline, the opportunity to see a 3-D rendering of the new two-piece label design was invaluable. They understood the texture, weight and feel, and how the bottle would look on the shelf and feel to the consumer. A slightly broader shoulder gave the new packaging girth and a richer weight. The 3-D example was also a key guideline for the printer who understood the desired outcome and, as Lilienthal says, the whole print check took fifteen minutes. The quick turnaround had the new packaging in the marketplace by summer 2017 and, although old designs may still be found in some markets, the new Cline Lodi Zinfandel has basically transformed how the brand is perceived by both consumers and retail outlets. The sales numbers are staggering to say the least. “I have managed a lot of packaging changes in my career but have never seen anything like the change in our Lodi Zinfandel,” says Lilienthal. “In 52 weeks, July 2017-July 2018, the brand had gone from a decline of 14%to a growth of over 11%, meaning we have had an approximate 25% increase in sales in that period.” And she points out that the brand was growing with fewer points of distribution and without lowering the suggested retail price. Furthermore, Trader Joe’s, who had delisted the brand, has reintroduced it in the Northwest with much success and will now roll it out in other regions. “Affinity worked with us and challenged us, but in a helpful way. In determining what direction we should go, Ed’s team explored everything we asked for, and then showed us something better.” Soon after the Lodi Zinfandel launch, Affinity was awarded a silver medal at the Wine & Vines Packaging Conference for the packaging redesign of Cline’s Old Vine Zinfandel. Although Zinfandel is still a declining variety category (Californians make up the majority of Zin drinkers), Cline Cellars feels that they have busted the trends and the wines continue to make up a proud part of the winery’s almost 400,000 total case portfolio. Both Lilienthal and Rice will be speaking at the North Coast Wine Industry Expo Conference in the Sales & Marketing Track session “Keys to Successfully Refreshing Your Brand” in Santa Rosa, December 6, 2018. Visit www.wineindustryexpo.com/conference to learn more and register. We sat down with one of our designers Santosh Chawla and asked him 'what facet of design means the most to you’? How does design affect your life? Check out the full interview on our blog. Whether it's social media, email notifications, or even blog posts, we all get distracted. Eliminating those distractions and getting back on track takes mindfulness and, most importantly, practice. Our Marketing Analyst, Nick Azevedo, shares his perspective on how to stay focused and increase productivity in and out of the office. Separately, they can produce great results. Together, they are a match made in marketing heaven. The content creation world has inundated consumers with so much information that the overall messaging tends to get lost, and even distorted, as the content flows down the proverbial pipeline. We see this “lost in translation” mentality on all of fronts in the content/creative world, and we rely on our clients to share this frustration and help us untangle the complexities of brand messaging. On its own, video marketing as one of the most effective ways of reaching your target audience. Now pair the video with an accompanying digital experience (say, a website or an opt-in campaign landing page) and they become twice as likely to convert. Click here to read the full article on our website. While millennials are one of the largest consumers of wine in terms of volume, marketers should keep in mind that it’s the GenXers that will spend more on a bottle of wine. Read the full article on our blog. What Is a Website Worth? Why spend tens or hundreds of thousands building a custom website? We sat down with our Digital Director Justin Witt to get his take on why brands are looking to agencies like Affinity Creative Group to create beautiful digital experiences. We dive further into that ROI increase on our site, which can be viewed here. Can Strategic Design Increase Sales? “In order for companies to compete in today’s dynamic consumer landscape, good package design has become table stakes” - Laura Richardson, vice president of Design solutions at Nielsen. When we announced our submission for this award earlier this year we hoped to prove that our mantra of creative certainty could be validated by something beyond our experience. Now, we are proud to announce that we have been selected as a winner of the 2018 Nielsen Design Impact Award for our redesign of the Robert Mondavi Private Selection line. But what does this mean for our clients? At the intersection of design and data lies creative certainty, an ideology that has yet to be fully embraced by consumer facing products. Affinity understands the impact that creative strategy has on a company’s brand, and it is truly remarkable to see the partnership between Nielsen and The Dieline to bring this ideology to the general public through a data-driven design award. We are only as strong as the people we work with, and we’re beyond thankful for this opportunity from Constellation Brands as well as Nielsen and The Dieline. The full press release from Nielsen is available here. This includes more information on the Nielsen Design Impact Awards and the methodology used to assess each submission. The 1000 Stories brand continues to gain momentum and PR for our client Fetzer Vineyards, growing “from 5,000 cases in 2014 to 120,000 cases of annual sales in the past 12 months,” as mentioned in this article from the UK editorial The Drinks Business. This is a great example of how a great product with a great idea needs a unique creative solution to match. To learn more about our creative solution for 1000 Stories, view the case study on our site. What Does Brand Building, Design, and Yoga All Have in Common? New packaging for Napa Cellars’ latest Classic Collection release reveals a dramatic transformation from its previous use of whimsical imagery. The brand now projects a clean, fresh, yet classic, “Napa” sense of place. While this transformation makes perfect sense given the brand’s namesake location, established equities and 40-year heritage, the brand design overhaul required serious consideration. To help this established brand craft a new image to improve sales performance in a competitive category and marketplace, Napa Cellars brand management engaged Affinity Creative Group. The highly regarded brand design, digital media, and retail activation agency with particular expertise in wine, spirits and other beverage categories, has influenced the look and feel of a wide range of brands, including other Trinchero Family Estates wines. In addition to developing the ideal artistic expression to represent the brand, Affinity Creative Group enhanced technical factors by specifying an upgrade to paper stock and leveraging the printing process to help convey subtle quality ques. Attention to production details include restrained use of gold foil, matte/gloss ink application and utilization of embossing and debossing techniques. Dave Derby, Senior Vice President of Marketing at Trinchero Family Estates, expands on and explains the decisions and considerations Napa Cellars brand management went through in developing the new brand identity. Q: What motivated you to create the new brand identity and packaging? A: Over the past 15 years we made minor refinements to our Napa Cellars package, but it remained fairly consistent. Given increasing competition and the need to have your label effectively tell your story, we felt it was time to give Napa Cellars a new package that better embodied our history and our classic Napa Valley positioning. We are in an enviable position that our name actually has “Napa” in it. But, we felt the consumer also needed to be visually transported to Napa. Once we had a few final label designs, we conducted consumer research to confirm our new package met our objectives. Q: How does the new packaging reflect Napa Cellars’ heritage? A: We’ve been in the Napa Valley since 1976, and we felt our heritage needed to be better conveyed on the new package. A key element of the redesign is the integration of the pentagon symbol. The pentagon represents the Oakville tasting room’s unique five-sided geodesic dome commissioned by founder Charlie Woods. Dominating the rest of the label is an illustration, looking west from the winery, of the winery’s original five acres along historic Highway 29 in Oakville. From the classic font choice to the refined gold embossment, the new Napa Cellars package now embodies the sense of place for which the famed Napa Valley is known. Q: How does the new brand identity express or relate to the wine profile? A: When you taste our wines, our goal is for you to immediately recognize that they are sourced from Napa Valley. With roots and vineyards dating back 40 years, we have the ability to pick and choose great fruit from many of Napa’s most sought-after appellations. Each vintage builds and pays tribute to the original five acres on which the winery was founded. As marketers, our goal is to help ensure that what’s on the outside of the bottle mirrors the great quality inside. Q: Will the new look of the Classic Collection be followed up with a new look for the V Collection and the Winemaker’s Series? A: Yes, a package refresh for our direct-to-consumer series is next on the list. Also, we have some exciting plans to improve upon the customer experience at our tasting room too. Q: When the consumer looks at these new bottles, what do you hope is their first impression? A: Wine has the ability to transport tasters to a special place or memory. When consumers look at our new Napa Cellars package, we want them to be transported to Napa. Whether enjoyed on our picturesque Oakville patio or in a consumer’s living room, we want that Napa Cellars bottle to bring Napa to them. From what’s on the front to what’s inside, the younger generations are being more articulate (and opinionated) when it comes to their choice of vino. This ultimate choice on the consumer’s end stems from a wine brands perception online and instore that can make or break their path to purchase. Since Generation Y (Millennials) are dominating the marketing spectrum due to their purchase power, the need of having a “more attractive” wine labels are even more evident. They make their purchase decisions depending on how their wine makes them feel and what message it sends to their peers, and the label takes an important role in this game. The gold-standards throughout the years, however, have not changed much. Colorful, ornate, and eye-catching design will always draw the consumer in, and as younger generations start to adopt new palates and habits they will start to notice things about their drinks of choice that they may not have considered at an earlier point in life. At Affinity, we believe in the power of design and how it can influence consumer’s perceptions both online and in-store. It takes years of experience, a deep understanding of the industry, an extensive knowledge of the printing process, the always-complicated tiering system, but most importantly, the demands of an ever-changing audience to design labels that can communicate unique experiences to their consumers through visual and textural queues. After some much-needed introspection, we re-evaluated our agency to better suit our client's needs. What did we discover? The need for an agency model that addresses the three main consumer touchpoints: brand and packaging, digital media, and retail experiences. 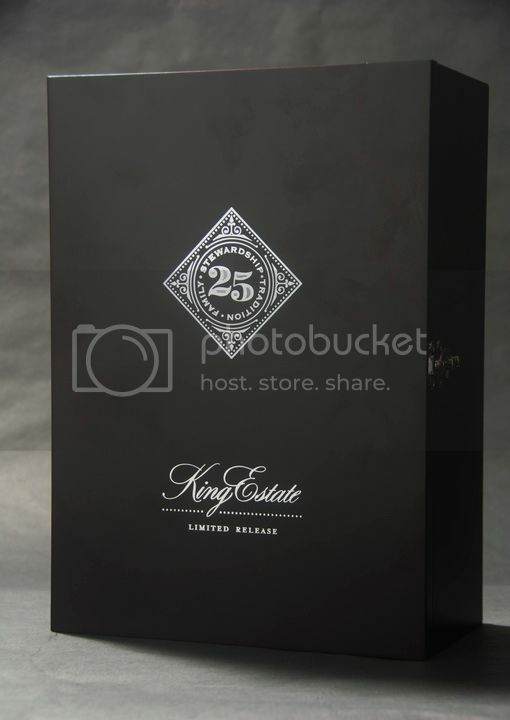 Our design for the King Estate 25th Anniversary Pinot Noir has been nominated as a finalist in the Best Luxury Package category at this year's Wines & Vines Packaging Conference! Affinity will be at the conference to show our support for all the wonderful people in all facets of our industry that make it happen. Stop by our booth and say hello! King Estate, a leading pioneer in Oregon wine country, engaged Affinity Creative Group to help commemorate their 25th Anniversary of outstanding wine production in the Pacific Northwest. The client was determined to make a statement around this special occasion and challenged Affinity to develop distinctive branding and unique packaging to hold two bottles of their finest estate Pinot Noir and Pinot Gris. 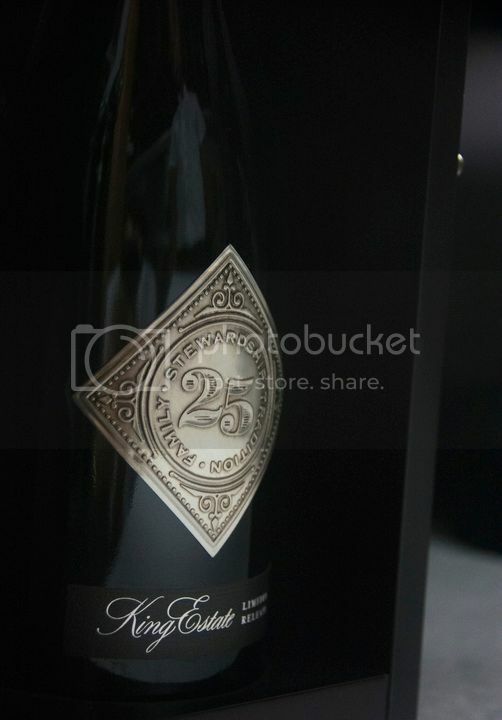 The wine branding, design and packaging specialist responded by creating a special 25th Anniversary metal label for the two bottles along with a distinctive “presentation case” that conveys luxury, exclusivity and craftsmanship. The labels are actually embossed pewter-metal that is hand applied to each bottle. The secondary package was created using powder coated MDF with an embossed foil logo that echoes the design of the label and underscores the high value of this limited edition release. The case opens with precision thanks to a perfectly placed piano hinge along the top edge of this one of a kind gift box. The project incorporates many principles of luxury branding and packaging, including use of layers, textures and subdued tones. 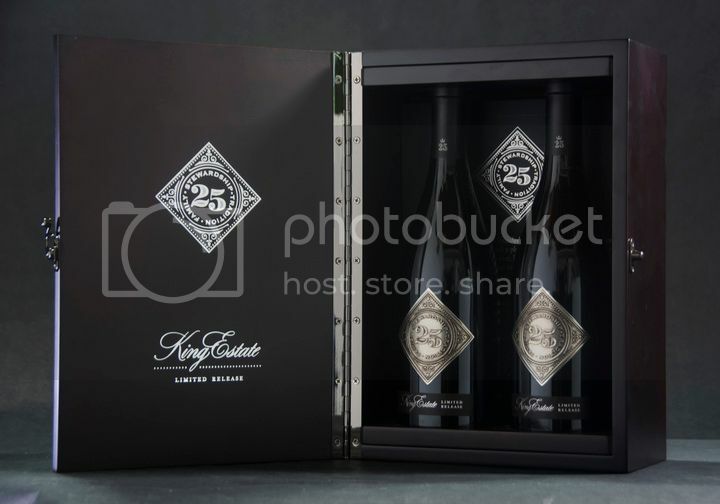 Ed Rice, Director of Strategy, Affinity Creative Group, remarked, "This 25th Anniversary package for King Estate underscores the importance of design intent, material selection and product staging. There is no doubt that the recipient of this Special Edition will have an unforgettable experience, and feel quite special, indeed." Affinity Creative Group is a Brand Design, Digital Media and Retail Display agency that provides clients of all sizes with clever strategy, engaging creativity and efficient implementation services. You can learn more by visiting our website or calling, 707-558-0744. Great day at the Fairmont Sonoma Mission Inn & Spa with Madeleine of the YWCA and Sumona of Fetzer Vineyards! Affinity Creative Group went out to show their support for the YWCA's efforts of spreading awareness and healing the effects of domestic violence. “Clients call us when they need to revive a tired brand or bring a new brand to life, on the label and on the shelf,” says Ed Rice, Affinity Creative Group’s Director of Brand Strategy and Client Development. Affinity Creative Group is an innovative, brand development and design agency that’s gaining traction as the go-to firm for branding, design and print production services for wine, spirits and beer producers. One of the company’s greatest attributes is its informed and intuitive grasp of current market trends. Affinity Creative Group works upstream of the typical advertising agency, serving clientele that includes sophisticated industry giants ranking within the top ten of U.S. wine producers, as well as boutique beverage entrepreneurs who might be introducing a new product line for the first time. A case in point is the well-established Ménage a Trois brand. Affinity Creative Group was tasked with finding a way to distinguish a new offering in a category that has become hugely popular, as well as stiffly competitive: Red Blends. “To achieve brand prosperity, we began by playing with a richer, deeper dimension of taste communication… presenting our client with a range of design options that suggested the mystery, the magic and the darkness, of midnight,” Rice describes. The end result is now seen at retail locations across the country: Ménage a Trois Midnight; a stunning canvas of deep black, with touches of rich reds and nuanced, silver images that consumers find irresistible. The impressive team of ten professionals equates to roughly 20+ years of in-depth experience per person, when you do the math. The group has a nice mix of ages, styles, and disciplines that run the gamut from classic design treatments to edgy hipster vibes, giving Affinity Creative a high level of unequalled category expertise. An example of the team’s ability to deliver a new-to-the-world brand design completely from scratch is Affinity’s work on Ste. Michelle Wine Estate’s recent initiative, Drumheller, a new wine from the Columbia Valley AVA. Affinity Creative worked to generate a range of design solutions that would create an evocative sense of place while communicating the story, feeling and uniqueness of theDrumheller Channels. The selected design solution accomplishes this, and more, by inviting further investigation, which drives consumer engagement. Storytelling is often a crucial and valuable dimension to Affinity Group’s work. 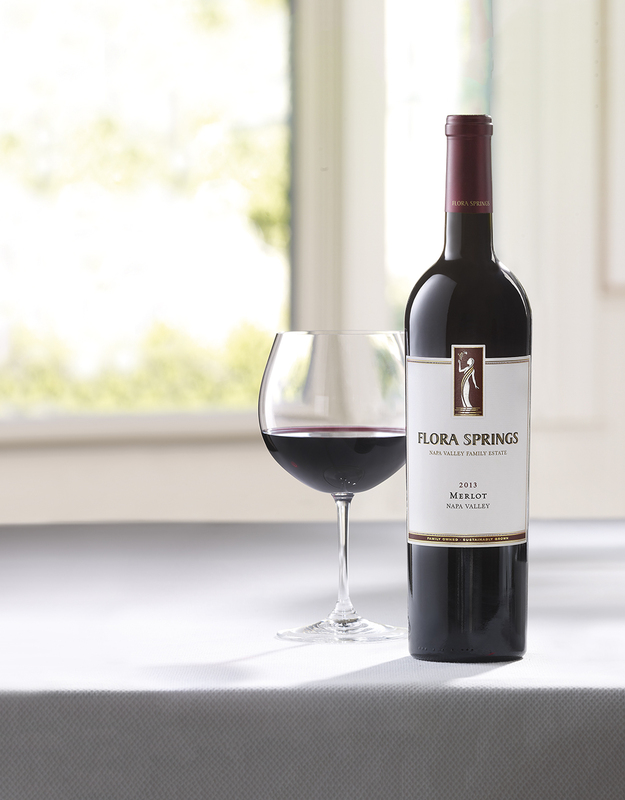 In their portrayal of the matriarch and inspiration for a legendary Napa Valley Family Estate, the Affinity team recast the previous brand mark and label with the creation of a new, compelling, iconic image of Flora on a crisp, clean, label, resulting in a powerful platform for the new icon and projection of an enhanced Flora Springs brand mark. Although in its relative infancy, three-year-old Affinity Creative Group has already amassed a remarkable portfolio of new client work now seen on shelves, in tasting rooms and across the country, shipped directly to consumers. From its studios along historic Officers Row on Mare Island in the San Francisco Bay Area, this ensemble of multi-talented individuals helps clients reach new marketing heights through the development of stunning and effective brand design solutions. With two decades experience in the wine, spirits, beer and other luxury categories, it’s no surprise that Edith understands down to the molecular level what it takes to create a package design that’s engaging, motivating and successful. She is gifted with a soft-spoken style, a diligent work ethic and an unparalleled aesthetic. Edie has the ability to add those nuanced and subtle touches that make a package design truly ‘sing.’ Affinity clients are always thrilled with her creations. Santosh loves creating attractive, clean and inviting design solutions that motivate customers to take a closer look and make a purchase. His nickname is ‘Sunny’ because he radiates positive energy that lights up Affinity’s studios, inspires his work and delights our clients. He brings an international perspective as well, having worked previously at one of the leading marketing and advertising agencies in Mumbai. Clients particularly love how Sunny thrives under the tightest of deadlines. The teams at Packagingarts and Affinity Creative Group capitalized on this idea by assembling for a one day workshop conducted by the energizing and inspiring coach and facilitator, Randy Roberts, known for her transformational work with high profile agencies including Apple, Genentech, Lucasfilm and NBC. After a full day of insight and introspection we gathered together at City Winery in downtown Napa to enjoy some fantastic food, tasty libations and a continuation of our engaging discussion on how to be extraordinary—for our clients and ourselves. It was a highly productive break and we all came away from the day recharged and re-energized. Now… back to work! Special thanks to Packagingarts leadership, Randy Roberts and the staff at City Winery. 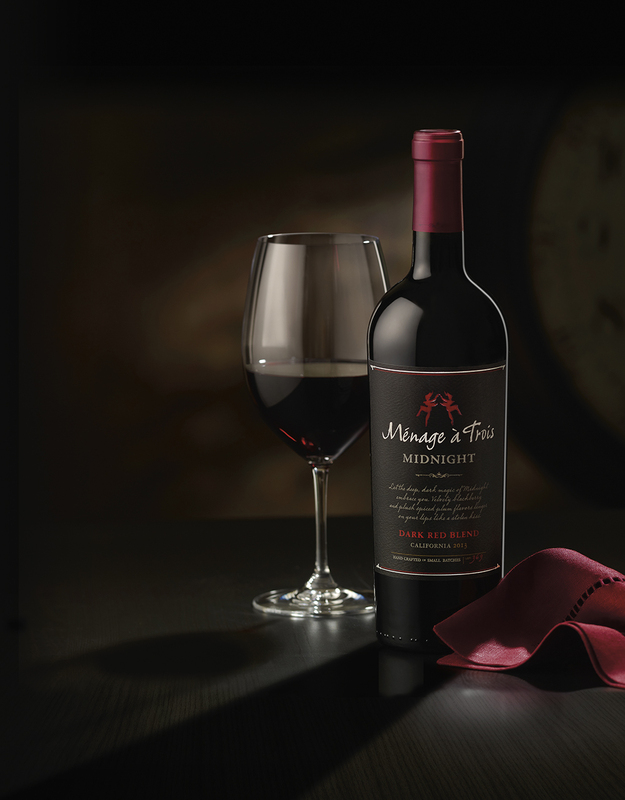 Affinity is proud to have contributed to the continued growth of this stellar brand, with branding and design expertise for the Midnight Dark Red Blend line extension. Last week Affinity Creative attended an innovative and inspirational event at Dirty Habit, hosted by Saver Glass. We witnessed captivating art installation developed before our very eyes by DELA. (delacanvas.com) We even had the pleasure of taking a piece of it home with us. Designers Santosh Chawla and Kristin Yeh attended along side Director of Strategy Ed Rice. A good time was had by all. Special thanks to Franck Collet and his sharp colleagues for a clever and memorable evening. It’s always nice to break up the daily grind with something a little different, if you were lucky enough to be at the event as well we’d love to hear from you and get your take on the night. Mare Island, California—With the help of Affinity Creative Group, Flora Springs Winery & Vineyard, one of Napa Valley’s premier family-owned estate wineries for over 35 years, has unveiled a new logo, labels and packaging designed to reflect a stronger brand identity and more clearly convey key messages about the Napa Valley estate’s core values. The new identity system is being introduced with the winery’s 2014 vintage white wines and 2013 vintage red wines as they are released throughout 2015. Affinity Creative Group, with studios on Mare Island, California is a new name in the brand strategy and package design space. Named for the agency’s mission—to achieve close rapport and emotional connection between clients’ customers and their brands—the group has already established themselves as the go-to agency in the wine, spirits and luxury goods categories. Often described as the most savvy and seasoned “start up” in the business, Affinity is staffed with a tight knit team of knowledgeable pros who have worked together for over a decade and have created, grown and revitalized over 175 brands in the course of their careers. For more information: affinitycreative.com. The inaugural Women of the Vine Global Symposium is scheduled for Friday and Saturday, March 13th and 14th, at the Meritage Resort, in Napa California. Creating 1000 Stories. Giving bourbon drinkers a good reason to drink wine. Affinity Creative Group developed a unique brand name, story and design centered on a symbol of American roots and heritage. Our icon was inspired by an article in the Smithsonian, which featured the American buffalo as one of the “101 Objects that Made America”. The name, 1000 Stories, hints at the tapestry of heritage, traditions and pioneering spirit that lives on today in all of us and continues to be at the essence of America’s character. The brand’s look and feel projects a premium, sophisticated and traditional image while remaining approachable, credible and comfortable for the targeted male consumer. The brand logotype, embellished with inline and drop shadow detail, seems to jump off the dramatic “stage” created by the rich, matte black background. An engraved American buffalo drawn in profile attracts the eye, so that the key feature-benefit of “Bourbon Barrel Aged” is immediately taken in. Other design details include a unique border treatment and subtle buffalo silhouettes added to the capsule. The project outcome is a concise yet richly woven presentation and articulation of the 1000 Stories brand that underscores and communicates the brand story. Since November 2014 the brand owner has been gradually conducting launch activities in the bourbon-culture states of Kentucky, Texas and beyond, targeting independent shops and chains to establish authentic buzz and grass-roots interest. The brand, design and sell-in process is already beginning to pay off. Our client has garnered interest from one of the largest grocery chains in the country, which has made a significant commitment to include the brand in the important new-item reset season, spring 2015. "It’s not often that I can give both package design and point of sale credit to the same firm. Our thanks goes to the creative teams at Affinity and PackagingArts—a job well done." 50 case Ménage à Trois ‘Midnight’ store display showing unique lamp-post fixture produced by PackagingArts and bottles/shippers created by Affinity Creative Group, both of Mare Island, CA. Mare Island, CA, September 5, 2014—Long time Mare Island based businesses, PackagingArts and their newest venture, the one year old Affinity Creative Group and PackagingArts, have been singing praises for the City of Vallejo Department of Building Inspections and Lennar Mare Island ever since a 6.0 earthquake rocked all of our worlds on Sunday morning, August 26th. Remarkably, the wine packaging, display and brand design companies were back up, operating and open for business in record time. In this case, the very next day. Although PackagingArts lost three chimneys and both buildings endured significant loss of plaster, many large plaster cracks, in every room and on every wall of the 8500 sq. ft. mansion along with some broken glass, neither business suffered a prolonged shut-down thanks to the rapid response of Abel Bustamonte, the tireless deputy building inspector who was actually on-site on Mare Island early Sunday morning. He was diligently reviewing degrees of damage done to the historical buildings on Walnut Avenue, also known as Officer’s Row. Once occupied by the Base Commander, who was in charge of the now decommissioned naval shipyard, the stately mansions now house a range of businesses and offices, owned and operated by Lennar Mare Island. Working in close partnership with Lennar Mare Island, Mr. Bustamonte was on the case early, as he knew the fate of some of the most crucial and thriving businesses hung in the balance. In the following article from the July 2014 issue of Labels and Labeling magazine, Ed Rice, Director of Strategy at Affinity Creative, explains the importance of collaboration between clients, creative groups and production teams. Awareness of production requirements can actually enhance the design process. And matching the right printer to the right job will ensure that the redesigned label lands on the shelf with the right look, as it was envisioned from the outset. Based on initial trade and customer reaction, Midnight is achieving all objectives, and more. For additional information, please contact Ed Rice, Director of Strategy, Affinity Creative Group, 707-558-0744 or email him: Ed@affinitycreative.com. Affinity Creative Group will be in attendance at the WSWA Annual Exposition and Convention in Las Vegas at Caesar’s Palace, April 8th to 10th. We’ll be In booth #330, joining our sister company, packagingarts. They will be highlighting their capabilities in the following disciplines: Development of Iconic Promotions & Retail Strategies, Production of Value-added Packaging and Execution of Branded Retail Displays. Packagingarts principal, Dave Miller will be there, along with Creative Director Mark Ray. Joining them from Affinity Creative Group will be Ed Rice, Director of Strategy. Affinity specializes in Brand Development, Naming, Brand Identity Systems and Creation of Packaging Design for wine, spirits, other beverages and luxury categories. Affinity Creative Group, a new yet highly experienced firm providing branding and design services for packaging in the wine, spirits, beer and luxury categories has announced the appointment of Ed Rice as Director of Strategy. Ed brings two decades of experience in brand strategy, consumer insights and client development, with particular focus on adult beverages and luxury goods. He began his career at Landor Associates, the international brand consultancy, where he built their consumer beverage practice. He also understands what it’s like to be on the client side of the desk, having served as Global Brand & Marketing Director at THX Ltd., the entertainment technology company founded by George Lucas. Prior to joining Affinity, Ed immersed himself back into the agency world at Trinity Brand Group where he successfully led client development activities, adoption of new strategies and increased the firm’s public profile. Ed will be based at the firm’s Mare Island, California studio, conveniently located for access to the Northern California wine country, the greater bay area and beyond. Affinity Creative Group is the new brand strategy and package design agency comprised entirely of industry professionals who have worked together for more than a decade. The group has over 80 years of combined category experience in wine, spirits, other beverages and luxury goods. The team is known for smart brand strategy and well-crafted design that helps clients build successful brands that have impact on the shelf, in the hand or on the table. Affinity was founded with the intent of building trusted, long-term partnerships through close collaboration and open communications to help clients achieve their business goals. The result is a dynamic, responsive and committed creative resource poised to fulfill both current needs and emerging trends in the competitive beverage alcohol industry. For more information, please visit: www.AffinityCreative.com or call 707.558.0744.